Stunning Lake Wallenpaupack, a man-made lake built in 1926 covering 5,700 acres and 13 miles in length with 52-miles of uninterrupted shoreline. Its activities are as endless as its shoreline and are sure to please the whole family as you play the day away. The lake has six public recreation areas featuring hundreds of acres of forest lands, wildlife, walking trails, campsites and boat slips. Outfitters also offer kayaks, water skiing, parasailing, wakeboarding, jet skies or boats to help you make the most of your experience. Lake Wallenpaupack is the largest man-made lake in Pennsylvania. Construction began in early 1924 and 2,700 men worked nearly two years to complete the project. 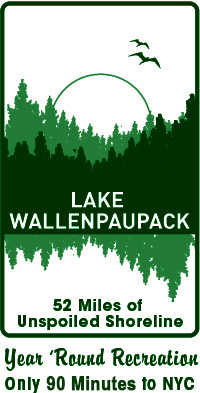 Lake Wallenpaupack is comprised of over 5,700 acres and is 14 miles long and two miles wide with 52 miles of shoreline. The average depth of the Lake is 40 feet. Every 4th of July there is a giant fireworks display, which takes place from the Shoreline of Lake Wallenpaupack. There are 300 acres of “natural area” covering over 2 miles of shoreline and are available to the public for hiking and snowmobiling. Hunting is permitted in season. This area is called “Shuman Point”. Lake Wallenpaupack will give you some of the best fishing times of your life! The Lake is stocked by the PA Fish Commission. There are numerous varieties of fish such as small mouth bass, large mouth bass, rock bass, striped bass, muskellunge, walleyed pike, rainbow trout, brown trout, pickerel, yellow perch, bluegills, crappy and catfish. Watercraft, from canoes to cruisers, is permitted on the Lake. Sailboat races are held every weekend between July 1st and Labor Day. Jet skis are permitted on the Lake. Lake Wallenpaupack, when it freezes, becomes a great spot for ice fishing, ice boating, and ice golfing, not to mention snowmobiling. 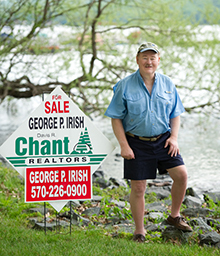 Your CHANT lake specialist will be more than happy to show you lakefront, lake right, or any other property you may have an interest in. 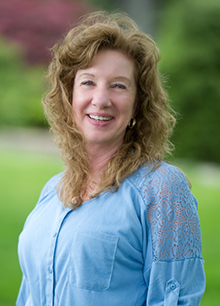 Just call us TOLL FREE at (800) 494-1088. Should you see a property listed by another real estate firm, just let us know the name of the real estate firm, the location of the property, and WE WILL DO THE REST.